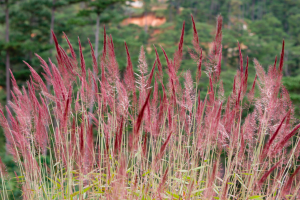 “What’s that pink grass that seems to be growing everywhere around here?” Every October and November, The Trembley Group Real Estate Professionals hear that question from a lot of their friends and clients. 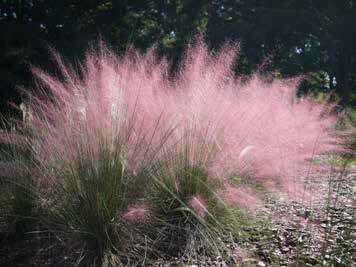 Muhly grass is a plant unique to the South Carolina and Georgia coasts, and it grows in the back dunes. For most of the year, people tend to ignore the soft grass right behind the beach, or at least they overlook it until it blooms with its beautiful pink seed heads. No wonder folks ask about the grass. The grass has even stopped cars. 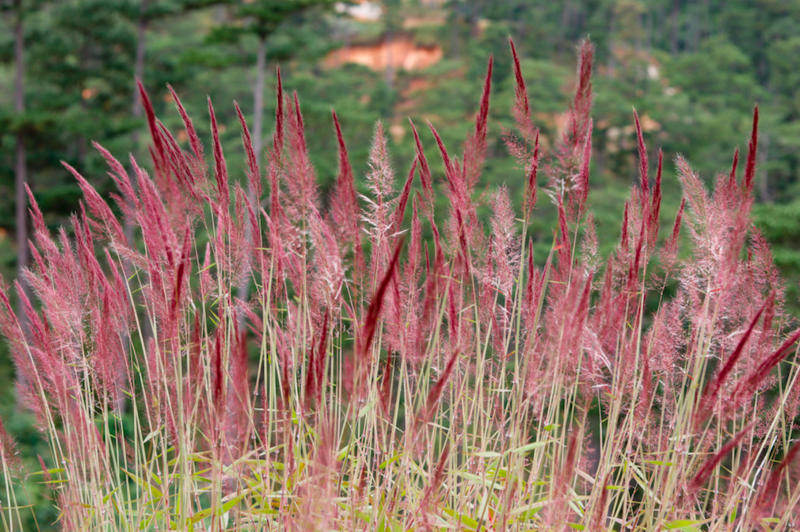 It’s easy to see why Muhly grass (Muhlenbergia sericea) is one of the most popular native grasses in South Carolina, and other places in the Southeast. Its gorgeous pink flowers in late fall certainly stand out in the landscape. It must be the unexpectedness of seeing a swath of pink cotton candy backlit by the soft angle of fall’s lower light that causes the reaction. In early mornings, it is often sprinkled with dew or sparkled with frost, giving the appearance of glistening pink diamonds. It is also known as sweetgrass. Sweetgrass is a long-bladed grass restricted to the coast of the southeastern United States and grows in clumps along the second dune line of the beach, in the boundaries between marshes and woods, and in wet savannahs. Although three other plants – palm, longleaf pine, and black rush – are also used in South Carolina low country baskets, the primary material is sweetgrass. The material is needed in great quantity and sweetgrass has become difficult to obtain. Today, basket makers pay gatherers who travel as far as south Florida to harvest the material. There have been several recent initiatives to give harvesters access to gated communities along the Grand Strand. 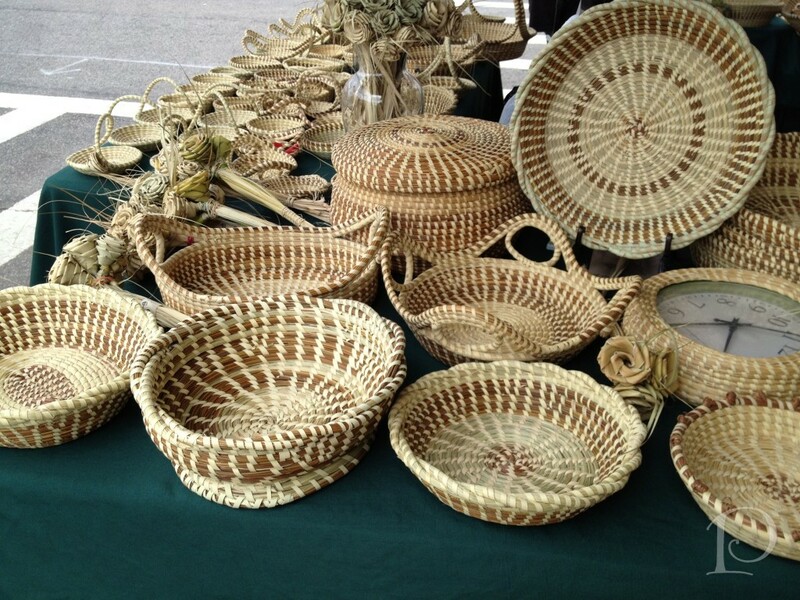 Lowcountry sweetgrass baskets have been made by the Gullah people for almost three centuries. Documented as early as 1730, the distinct form of basketry was first practiced almost exclusively by men. Women took over the craft in the 1920s, when many of the men left the area to serve in the military or look for jobs. 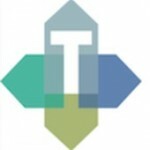 Though new forms have evolved in the work of individual artists, the basic designs have remained the same throughout time. The coiled seagrass baskets are now highly prized as works of art, and represent a major source of income for many in the Gullah community. More than 300 years ago, people from Africa transformed the landscape and the economy of the province that was to become South Carolina. They made rice the colony’s first major export crop. The African peoples brought to the plantations of South Carolina a knowledge of rice cultivation. Along with their labor, agricultural skill and knowledge, they also brought their skills as basket makers. The grasses and sedges that grow in the South Atlantic marshlands were ideal for making coiled baskets. The South Carolina plantation system needed large quantities of a few kinds of work baskets, notably winnowing trays and carrying baskets, all essential for processing rice. As a result, coiled baskets became the signature design made by Africans in America. The beautifully crafted, but humble coiled baskets, had been made in Africa for millennia, and by African-Americans on the South Carolina coast for as long as they have lived on these shores. They were once common agricultural tools, but are now artistic containers for memories, history, and symbols of identity. The coiled baskets have no single place of origin in Africa: their roots are in Senegal, Guinea, Sierra Leone, Angola and the Democratic Republic of the Congo. They represent the mingling of many diverse cultures. Today, African-American baskets are both a reminder of this African heritage and a distinctive and uniquely southeastern American art. Wide winnowing baskets, known as fanners, were the earliest and most important type of coiled basketry made by Africans in North America. From the introduction of rice in the late 1600s to well into the 20th century, fanner baskets were used to separate rice grains from husks. Pounded grains of raw rice were placed in a fanner and tossed into the air or dropped from one basket to another. After the wind blew away the chaff, the rice was ready for cooking. Fanners were also used to carry food, and even to cradle babies while their mothers worked in the fields. In Africa, coiled or woven baskets continue to be used to process grain and to cover bowls of food. Coiled baskets made in Senegal and Angola look similar to South Carolina African-American fanner baskets. Fanners made in other places, such as Sierra Leone, are woven rather than coiled. Preference for one basket-sewing technique over another technique was likely due to the types of plant materials available. Coiled baskets are crafted from one continuous strand or from bundles of fibers sewn together in a spiral. In contrast, woven baskets are made from discontinuous elements that are interlaced and typically held together by a binding at the edge. Basket makers around the world have invented many variations on these basic methods for creating elaborate objects from simple strands of flexible fiber. Baskets have been produced for many purposes, more so in the past than today. 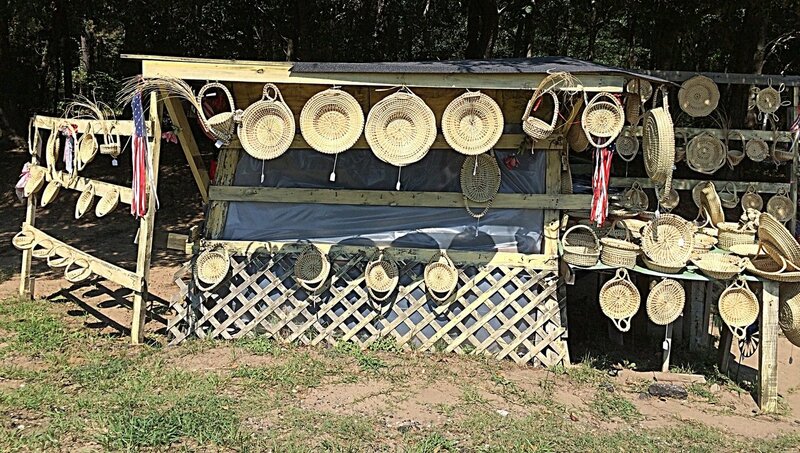 They serve as strainers and containers, traps and hats, beehives and bonnets, even houses and rafts. They can be porous or coiled so tightly that they are watertight. They can be made flexible or rigid. The uses of baskets, the materials available to make them and the skill and inventiveness of basket makers determine the ultimate appearance of baskets. African basket makers often combine different techniques and materials in a single basket including the addition of color or beading for decoration. On rice plantations in the Lowcountry, the predominant technique was coiling and the preferred materials were bulrush bound with splints of white oak or stalks of saw palmetto. Today, Lowcountry basket makers prefer to use sweetgrass in combination with bulrush and pine needles, sewn with strips of palmetto leaf. On both sides of the Atlantic Ocean, the art of basketry continues to be passed down from generation to generation. In the Lowcountry, as in many parts of Africa, expert basket makers invent forms, experiment with new materials, and perfect the techniques they have learned from their parents and grandparents. A child begins by sewing the bottom of a basket while an older relative builds up the sides, pointing out how to give the basket shape and strength. This process evokes memories of loved ones and links generations of basket makers together. 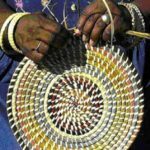 While it is unknown what kinds of baskets were made in Africa 300 years ago, striking similarities between African and African-American baskets point to a common cultural heritage. Besides utilitarian fanners, distinctive stepped-lid baskets and stacked baskets are made on both continents. In the Congo region, the stepped form, also found on grave mounds, alludes to the passage of the soul from birth to death. While African-Americans have made these baskets for generations, they attribute different meanings to the different sculptural forms. Basketmaking is a tedious business. Gathering just the right kind of grass, wrapping it in strips of palmetto leaves, then weaving and sewing these ropes into different shaped baskets takes patience and skill. It is an art form that was mastered by West African people and passed down to their African-American descendants. For residents of Myrtle Beach and the Grand Strand looking for a unique bit of home to give as gifts this Christmas Season, The Trembley Group Real Estate professionals suggests a sweetgrass basket. The sweetgrass basket is a Lowcountry trademark that will last a lifetime. Sweetgrass is an indigenous bulrush, sweetgrass basket sewing is an indigenous art, and a sweetgrass basket is considered by most to be a prized cultural gift. The survival of the production of sweetgrass baskets relies on the residents of the South Carolina coast, as well as tourists who purchase them. The Smithsonian American Art Museum’s permanent collection includes sweetgrass baskets. The hand-woven sweetgrass baskets are made by Gullah women who have passed the art down for generations. The women can be seen creating and selling their art in Charleston and other places, including small sheds along US 17 between Georgetown and Charleston. Sweetgrass baskets of a wide variety of styles and prices can be purchased from the weavers, many gift shops, or on numerous online sites.